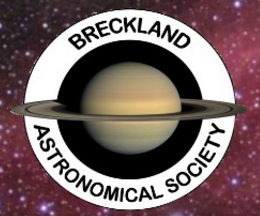 Everyone is invited to join members of Breckland Astronomical Society for this one of their regular "second Friday of the month" meetings. A varied programme of talks and presentations is offered throughout the season with the opportunity to stargaze after the meetings if weather permits. The below graphic shows if and when it will be dark at Great Ellingham Recreation Centre on the evening of this event. Yellow areas show when the skies are not dark due to daylight (bold yellow) and moonlight (faded yellow). Click on the image for an explanation on how darkness is determined.